Here's a brief guide on best practices for swimming pool filter cleaning. 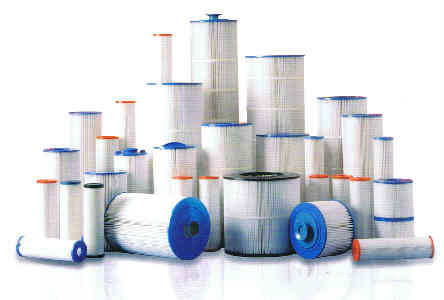 There are various different types of filter tanks some of the most common in the Las Vegas and Henderson areas are the cartridge filters, this guide is for this type of tank. First turn off pump and ensure it’s not due to come on while you’re cleaning the filter. If it is then turn off the breaker as well. Read the warning instructions on the tank throughly. Then release air pressure from filter tank. Un screw the bolts holding the clamp together. Pull the lid off the tank but don't use a screw driver to try and pry it off as this can damage the tank. Remove the drain plug from tank. Next remove the top manifold. Keep all equipment together to ensure it all goes back on when reassembling. Pull the cartridges out and it's best to take them to the curbside to clean them as it can get messy. Use a regular hose and not a pressure washer to clean them as this could damage them. PoolStar uses a tool called the Aqua comb that attaches to the hose for optimal filter cleaning. Wash down curb area after cleaning. Rinse out the inside of the tank and remove filter tank gasket and clean with a rag where the gasket sits on the tank. Replace gasket and use magic lube on the gasket. Reassemble tank making sure the filter gauge and all warning signs on the tank are visible and the clamp is the right way up. Ensure clamp is on securely before turning the pump back on. Stand clear of the tank and let the air be released via the relief valve and tighten the air relief valve back up when a clear stream of water comes out. If you'd like your filters cleaned please use the Contact PoolStar link above. This entry was tagged swimming pool filter cleaning, cartridge cleanning, filter tank. Bookmark the permalink.